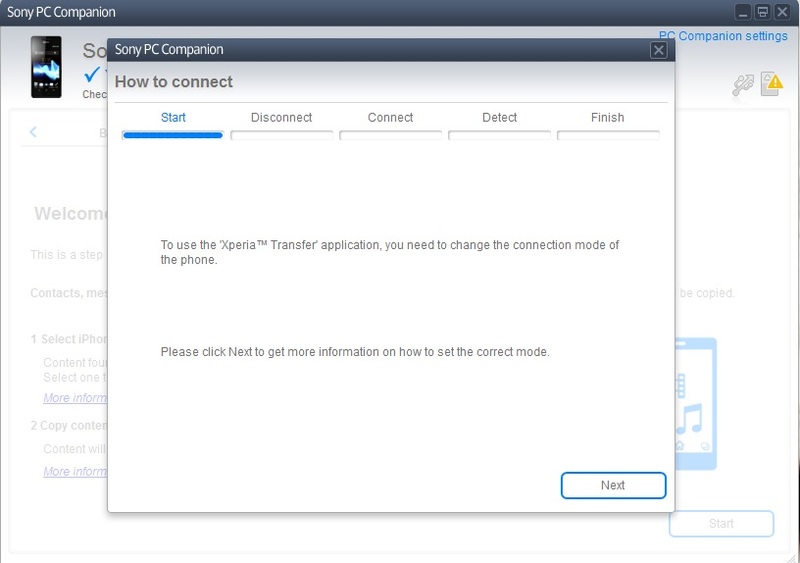 transfer everything on your iPhone to Xperia in 8 simple clicks! 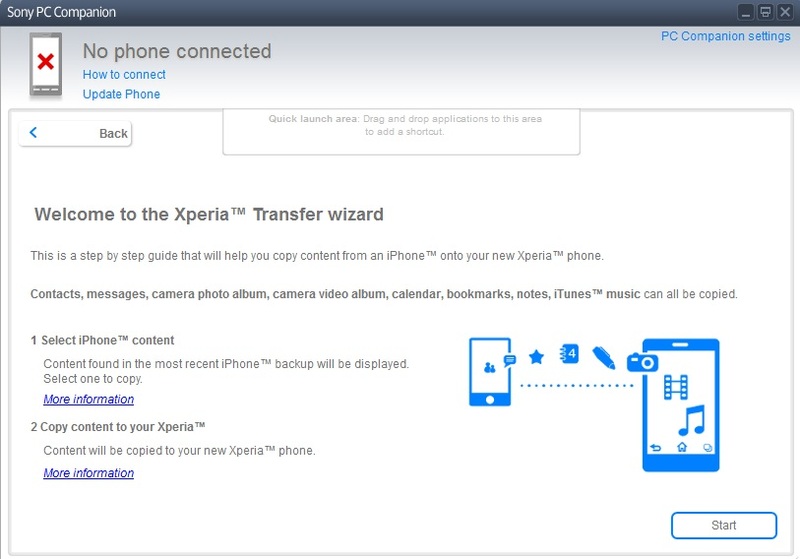 There has always been a barrier for iPhone users to seamlessly transfer content to Xperia devices. 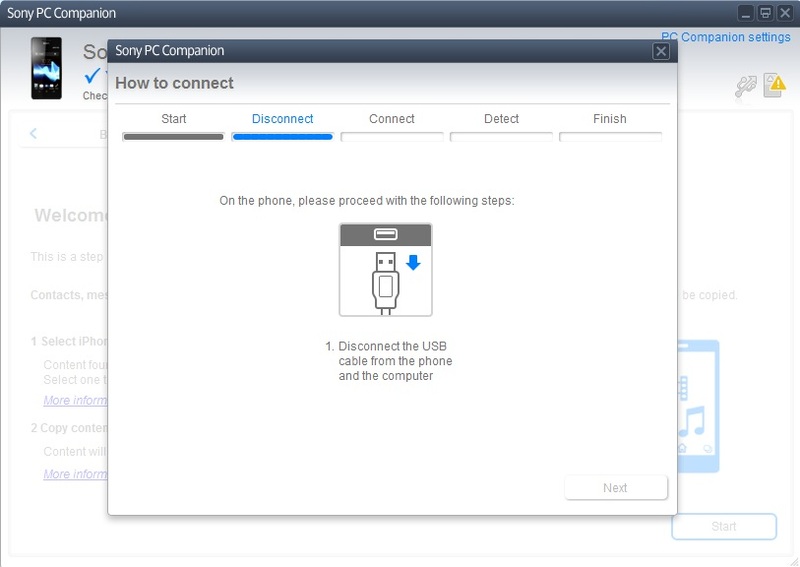 Sony has overcome this problem by integrating a feature in PC Companion that creates the bridge that connects these two together. Now transferring of contacts, media content and more can be done with in 8 simple clicks. 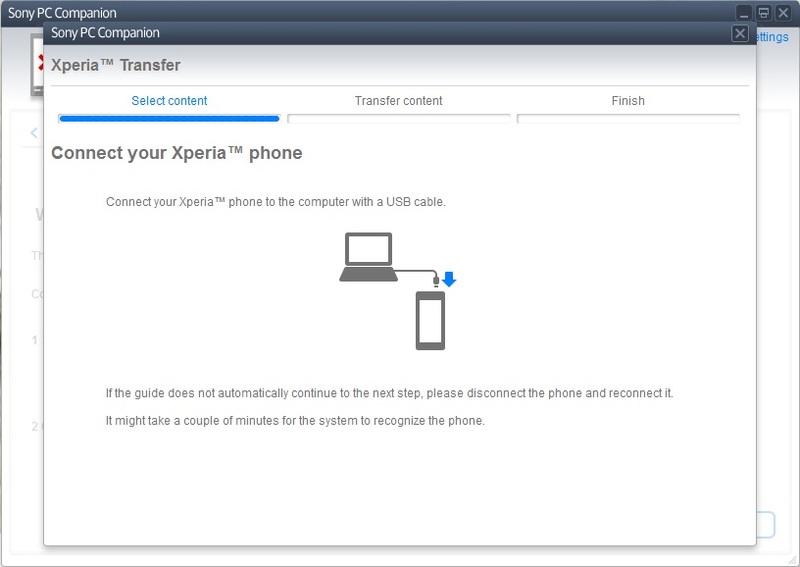 Follow these simple steps to transfer all your iPhone content to your Xperia! Step 6: Follow the steps shown on the screen. Connect back the USB cable once you’ve changed to the MTP mode. 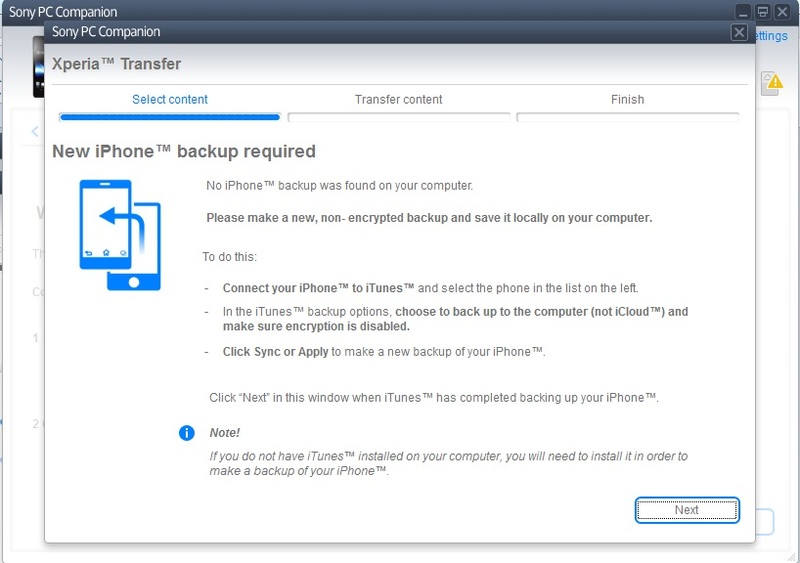 Step 8: Prepare your iPhone backup! Press “Next” and your content will be transferred. BAMMM!! Everything done in 8 simple steps. 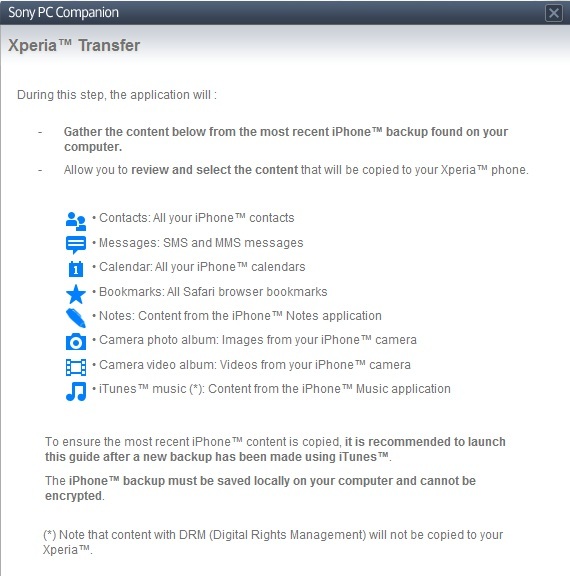 Be sure to have a backup of your Xperia content before you go through the transfer. 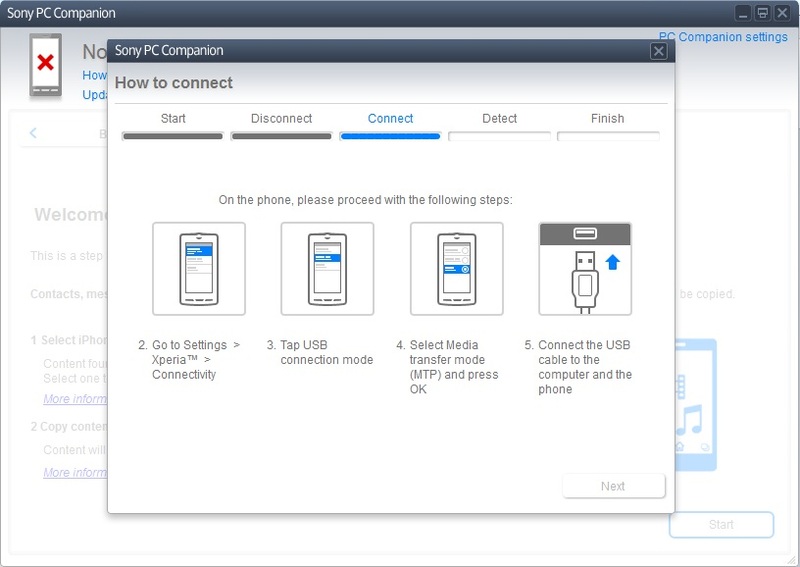 Share this with your fellow friends who didn’t want to convert to Xperia because “it was too hard to transfer content”. Now they too can experience the goodness of an Xperia device. What do you thing? Sony has done a pretty decent job in making it convenient for iPhone users! We love this idea of theirs!! 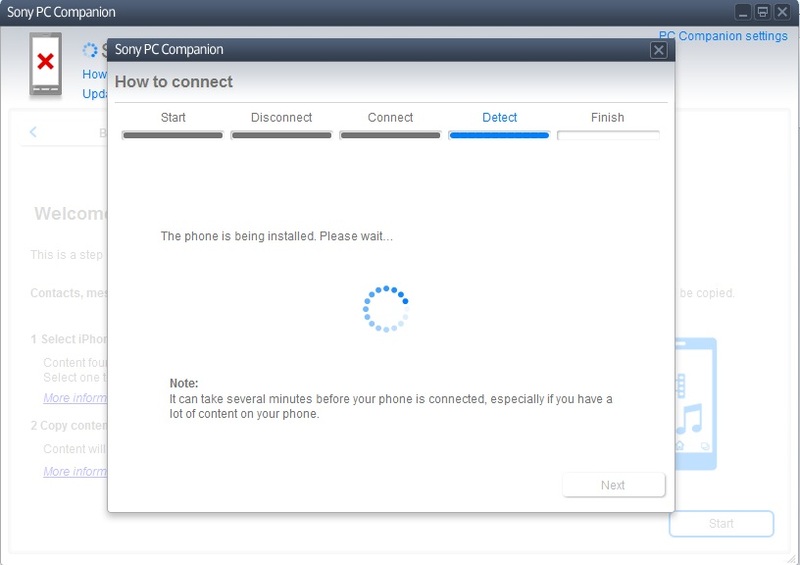 This entry was posted in PC Companion and tagged iphone to xperia, PC Companion, sony, xperia by knowyourxperia. Bookmark the permalink.